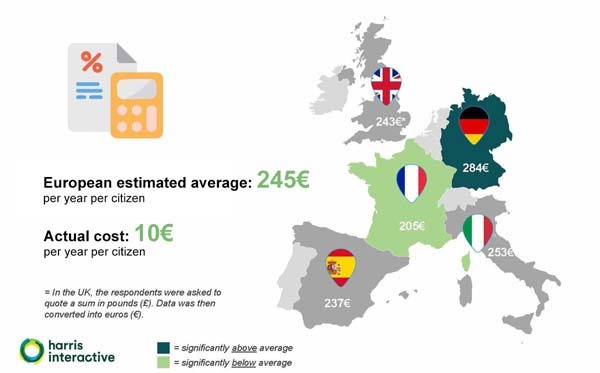 How Much Do European Citizens Know About Space? 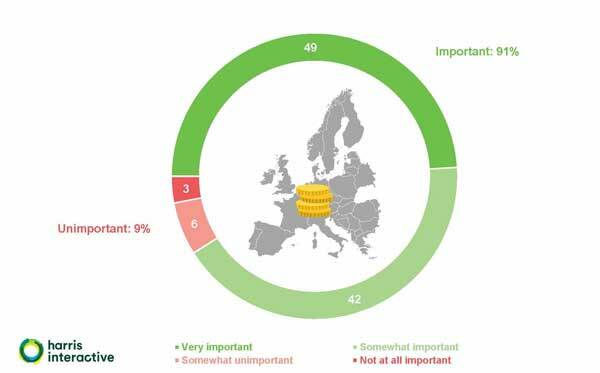 PARIS (ESA PR) — Europeans are undeniably interested in space activities, and the idea of pooling resources between European countries is considered important unanimously by European citizens: just two of the fascinating findings from a recent survey of public perceptions of issues related to space. How much do space activities cost? Uh, that was not a poll on space. that was a poll on ESA. Very significant results. Just imagine what could be accomplished, If the same result occurred within the US general population. All the politicians would be falling over themselves to be seen to be fully supportive of NASA and it’s programmes. 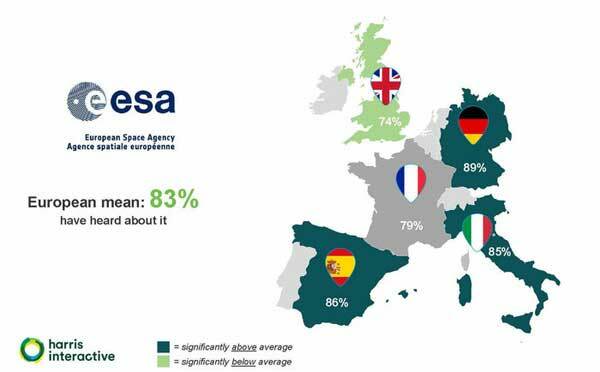 I suspect you would find that NASA’s “name recognition” is at least as high among U.S. adults as ESA’s is in Europe. Surveys here have also shown that the vast majority of Americans have the same wildly mistaken notion of how much NASA costs per capita as the Euros do anent ESA. Two things American adults typically think constitute 10 or more percent of the federal budget are NASA and foreign aid in all forms. All the survey reported on here illustrates is that the European man in the street is about as ill-informed anent space matters as are my fellow countrymen.